It is one of the most highlighted series of cricket world currently having the facts to prove that Indian test team is currently ranked No.1 which of course based on their previous assignments.Many having doubts over the system as all the matches being played in and around India and to consider these things are India eligible of being No 1 side in the world. What makes them special about this Indian team reach there??? It all not about their captain Virat kohli.He has been aggressive but the respect of making a fast bowlers having free to feed their emotions on taking a wicket is what its all about.before virat's captaincy i feel like i never seen a fast bowler having celebration like dale steyn which matters the most as an individual as taking responsibility and holding trust on his ability. Showing that this is a game of intensity rather waiting for something to happen special.Handling a faster bowler is an art that virat had been showing since his under 19 captaincy belt. Is that just enough to make them special but the moment is change in attitude is all about making a batsman think what the bowler needs. Sledging is words thrown away here comes a kind of changing the mindset all of sudden bowling loose delieveries around the wide crease or even down the leg side has been story for years in India. I have seen these words from commentry " 4 dot balls getting hit for 4 on 5th or 6th ball to end an over on bad one"
This has been the case of Ishant and Umesh for long ago. These are the changes shown now as they bowled more maiden to ensure not letting the batsman and making him think. Indian Fast bowlers mindset changes and India is winning Test matches.Actually a country like India all loved to see their batsman score 100's with their lazy elegance on the leg side and crisp cover drivees but as a team sport respecting Indian fast bowler is a special side of Virat's legacy. 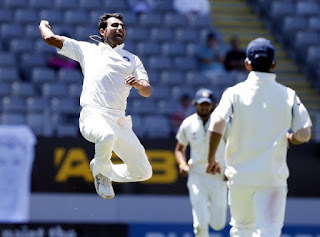 India is specially known for this chapter.Their rate of wicket taking ability is high where fast bowler have been in picture compared with them.with the wickets turning square Indian spinners arguably best bowlers for trade. 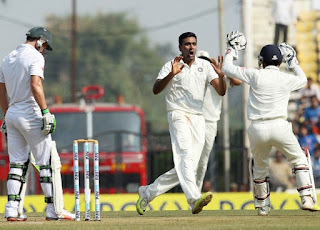 Having said that they are over rated at times where previous captain had more faith on them and backed them more unlike fast bowlers they lived happily like no disturbance for a place in indian team but current phase is totally different as even their highly rated spinner Ashwin is bothering for place while playing in England as fast bowlers started it off spinners now getting nullified. Opening combination is not about left hander as this is all about test match where skill against moving ball is all that important than just getting node based on left/right combination.Hence KL rahul and M vijay will apply to enter the league and even Dhawan would replace in coming days after the series proceed forward.since its long 5 match series,all players will make into the side. With indian middle order is far more settled than England the only worry is about going with 5 bowlers or take a ploy with all rounder.As long as karthik is considered to be a good batsman its better take pandya out and give a chance to jaddu who is not having any mystery.but adaptable to fuzzy cricket making it more aggressive. In consideration with respect to opening match of the series with the conditions favouring spinners.As always England is place for fast bowlers its about going with 3 seamers and 2 spinners.Having said that 2 spinners I opt for Jaddu and Ashwin as series opener because Kuldeep is all mystery and want to use weapon in decider and not now making the english batsman think on head is all making a master stroke with Jaddu batting it is all easy for Indian team playing full pace attack. This team is all based on current situation and considering their experience.These players are also not in the scene for too long and also having the experience of playing in England as like virat kohli they are all set to change their approach of playing in England.